It´s about time. It was only a question of time before Alienware created a Sandy-Bridge refresh of its 11.6 inch mini powerhouse for release. At this opportunity the graphics card has also been updated, replacing the GT 335M with the GT 540M. 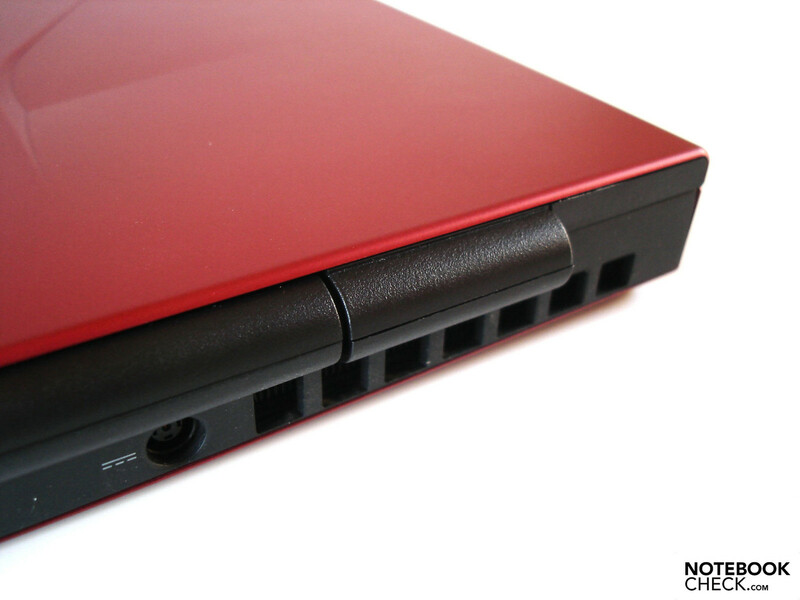 What the cooling system of the M11x R3 has to say about it can be discovered in this review. 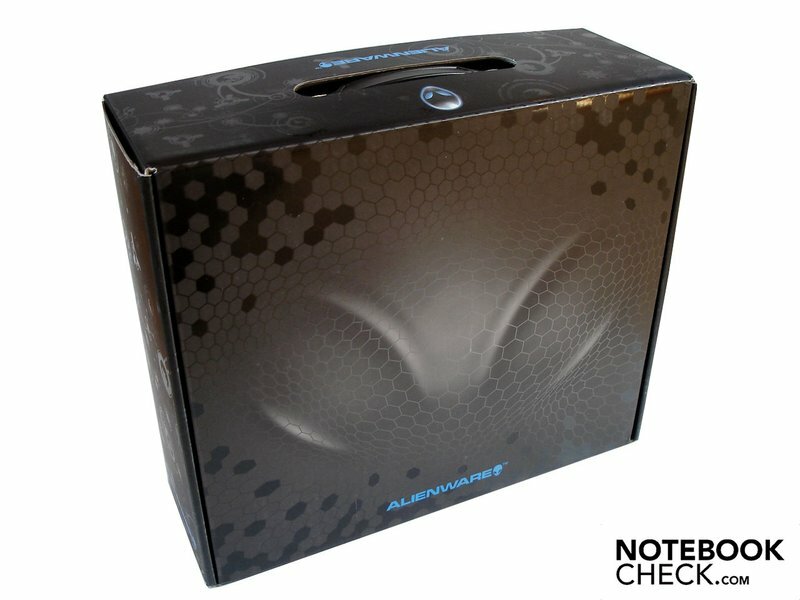 The gaming specialist Alienware, primarily known for large-format high-end notebooks, is offering a small subnotebook M11x which is already available in its third revision in the mean time. While the first version opted for a Core 2 Duo, and the second variant was equipped with Intel's original Core i generation, the M11x R3 has the fully up-to-date Sandy-Bridge CPU included. An energy efficient CPU of course, since a 'normal' processor would likely over-exert the cooling system. In time for the release date there should be two different Sandy-Bridge CPUs available for a start. The entry level model of these two is represented by the Core i5-2537M, which has a clock speed of 1.4 - 2.3 GHz, and an L3 cache of 3 MBytes. The other is the faster Core i7-2617M, which has a clock speed of 1.5 - 2.6 GHz, and an L3 cache of 4 MBytes. Our tested device is powered by the Core i7-2657M, a two core processor with 4 MBytes of L3 cache, and a clock speed of between 1.6 - 2.7 GHz. Whether Alienware will offer the Core i7-2657M to retail customers at some point is not certain at present. Meanwhile Alienware leaves a lot of freedom to its customers when it comes to the hard drive, whereby HDDs with a capacity from 250 GBytes to 750 GBytes are available, as well as a 256 GByte SSD. The amount of RAM in comparison lies at between 2 GBytes, up to a maximum of 16 GBytes. As far as the colors are concerned buyers will have to choose between red or black. Buyers will not have any influence on the choice of graphics card, with the exception of the amount of video memory - Nvidia's GeForce GT 540M is a DirectX 11 capable mid-range model. Important Note: Our model was not a final series model. Especially as far as temperatures, cooling fan characteristics, and software (drivers, BIOS, etc.) are concerned, there can still be variations. Most likely there will still be a review update of the series device to come. 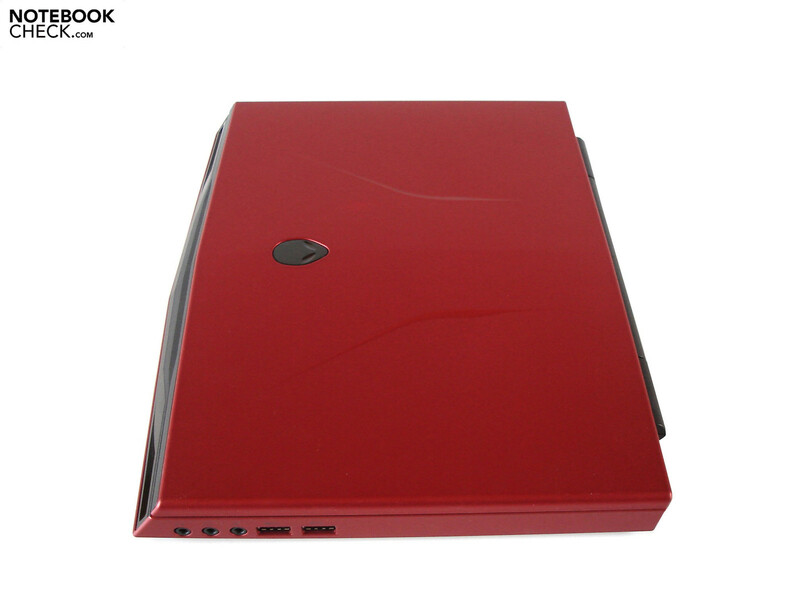 Compared to its predecessor there haven't been any changes to the case. The M11x R3 is clad in a futuristic - as if this could be any different for Alienware - design tailored for gamers. Several (adaptable) illuminated elements not only provide for fast orientation in the dark, but also look neat during the day. 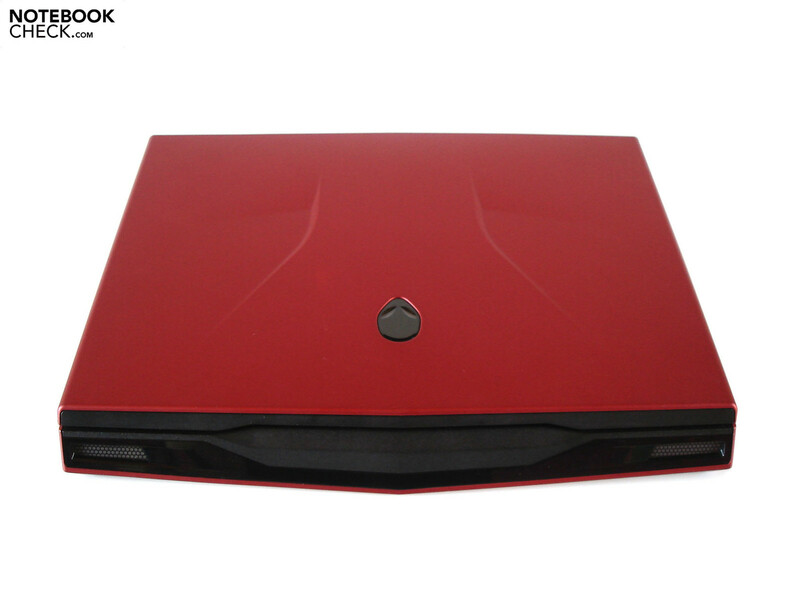 The red model tested by us included a very elegant color shade, whether closed or open: The subnotebook is definitely an eye catcher. We particularly liked the robust and pleasant rubbery soft-touch surfaces, which cover the bottom of the case, as well as the sides, and the display lid. 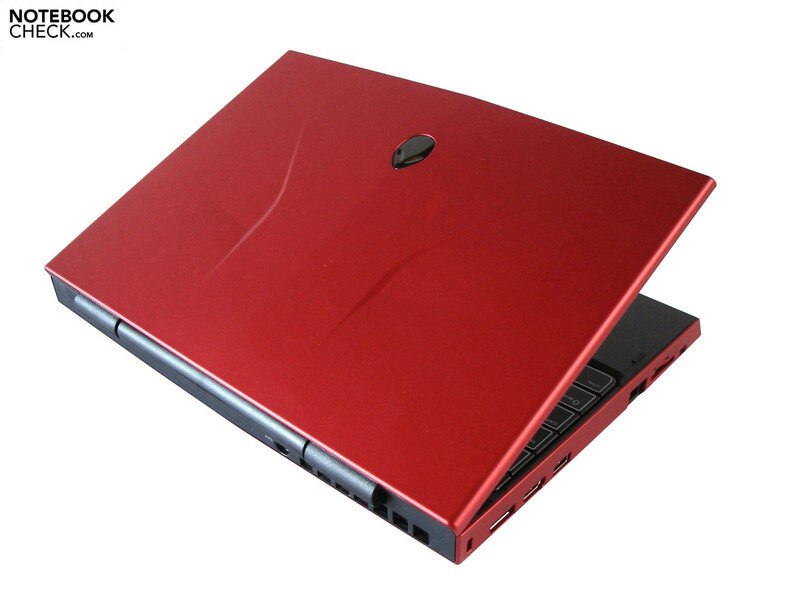 From the perspective of the build quality, the M11x R3 is manufactured according to the typical high Alienware standard, whereby our pre-series device showed two small faults. On the one hand the subnotebook didn't completely stand on the table top, since the right front corner was slightly raised. On the other hand, the palm resting area was not perfectly flush with the soft-touch surface on the right side, which caused a very sharp edge as a result. The materials made a high quality impression, with the exception of the somewhat appearingly cheap plastic on the palm resting area, and the M11x R3 is for the most part superior to the competition in this respect. 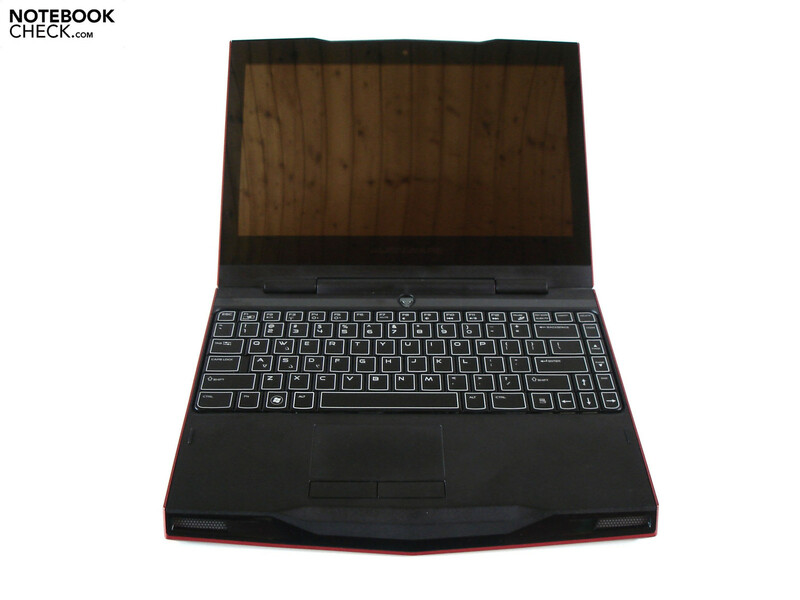 This subnotebook scores additional points with its good stability, with the exception of the display, the case is very rigid. Dirt is not a term that the M11x R3 is familiar with for the most part, merely the glossy display quickly accumulates fingerprints. 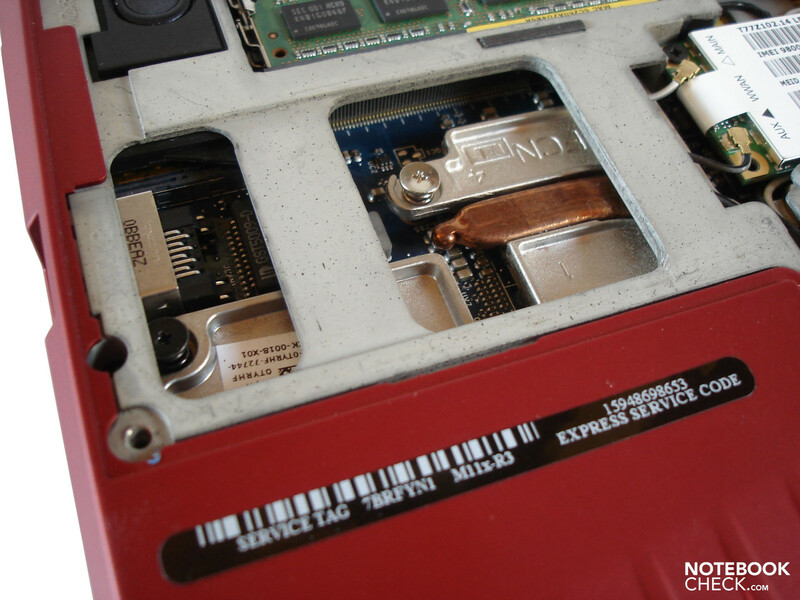 The (not completely quiet) hinges also perform their task well; when opening the display the base unit does not follow, and shaking of the base unit doesn't cause the display to wobble either. 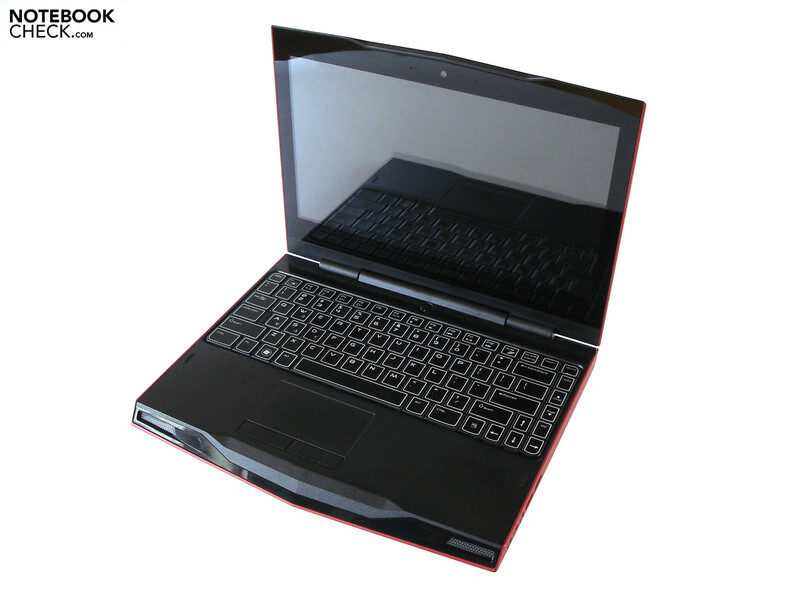 Due to the weight of just about two kilograms, and a size of 286 x 233 x 33 mm, the 11 inch subnotebook can be transported easily. The range of interfaces has above all else had an update of the USB ports. 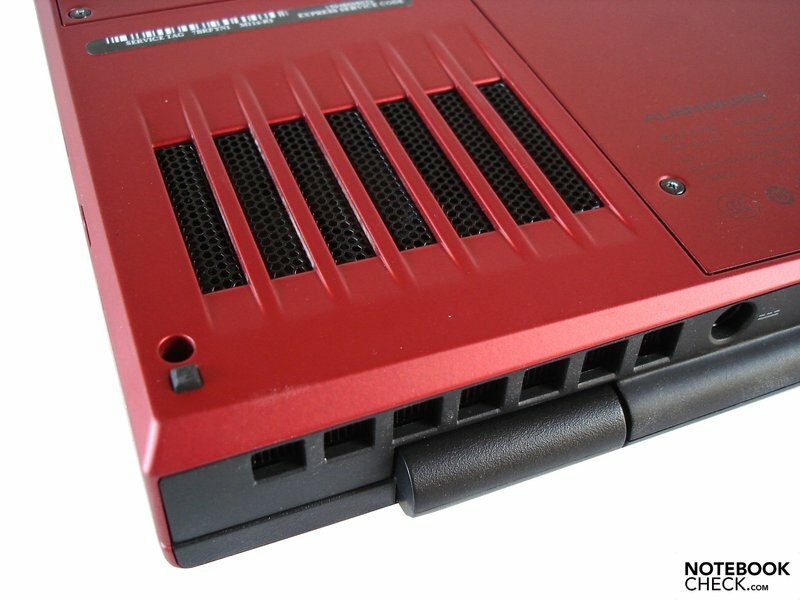 Instead of the three USB 2.0 ports that are included with the the previous models, the M11x R3 only has one USB 2.0 port (left), but instead also has two modern USB 3.0 ports (right). Other than this the interfaces are more or less identical compared to the previous revision. 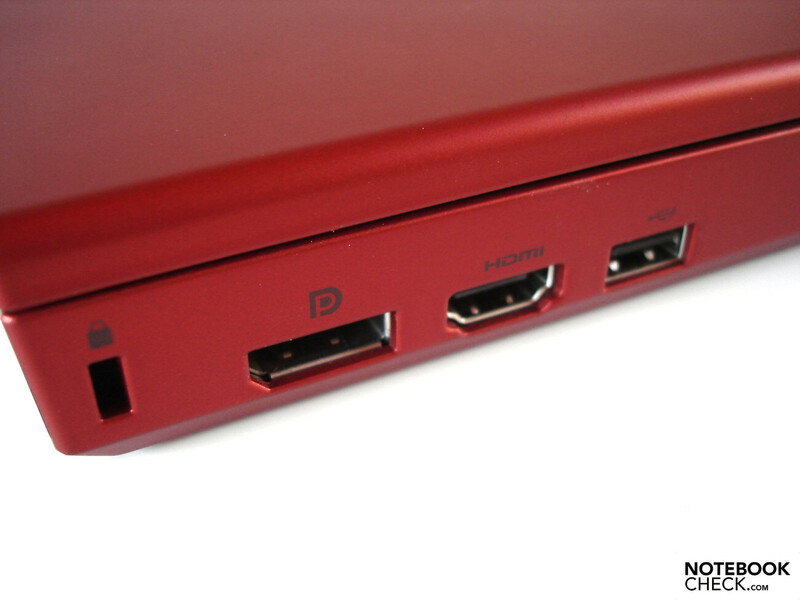 Thus there is a Kensington Lock, a DisplayPort, and an HDMI output on the left side towards the back, whereby the latter two support the operation of external monitors. 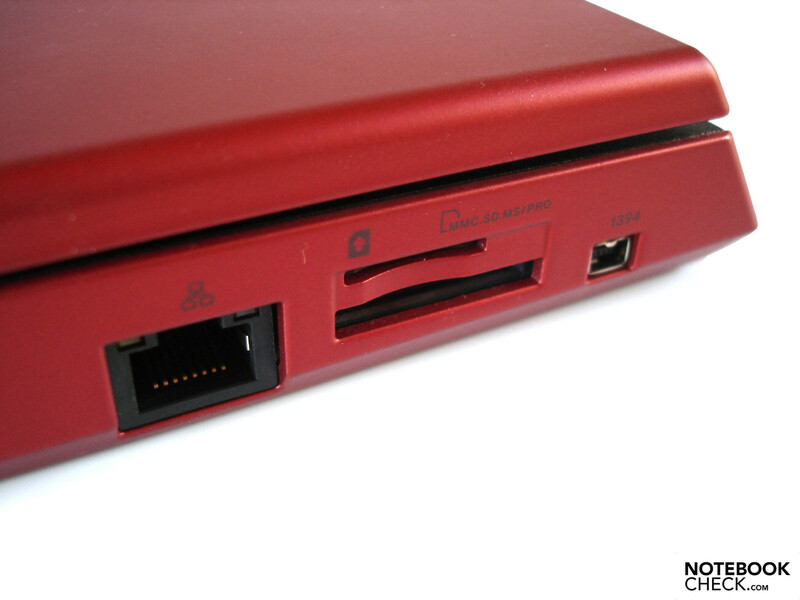 Towards the front in contrast, are a Gigabit LAN port (previously Fast Ethernet LAN), a card reader, as well as a Firewire port. 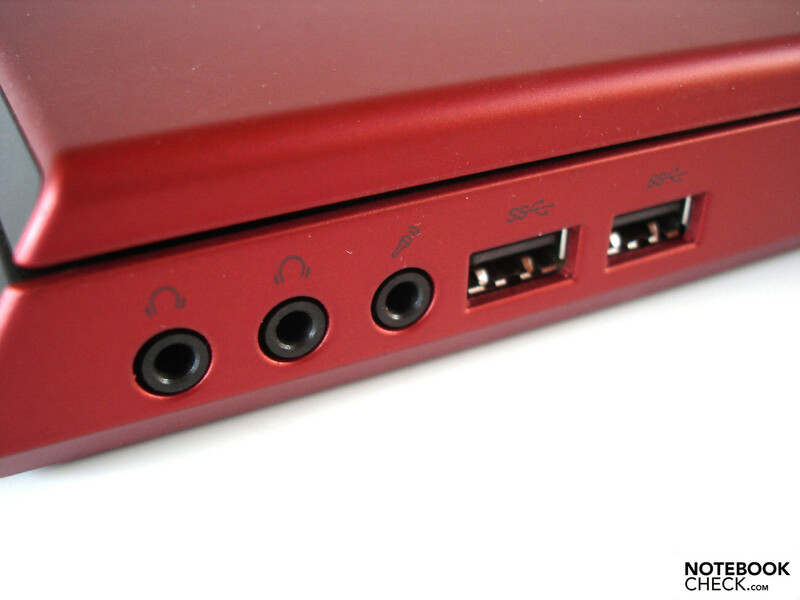 The final ports are two audio outputs and an audio input, which are located on the right side. 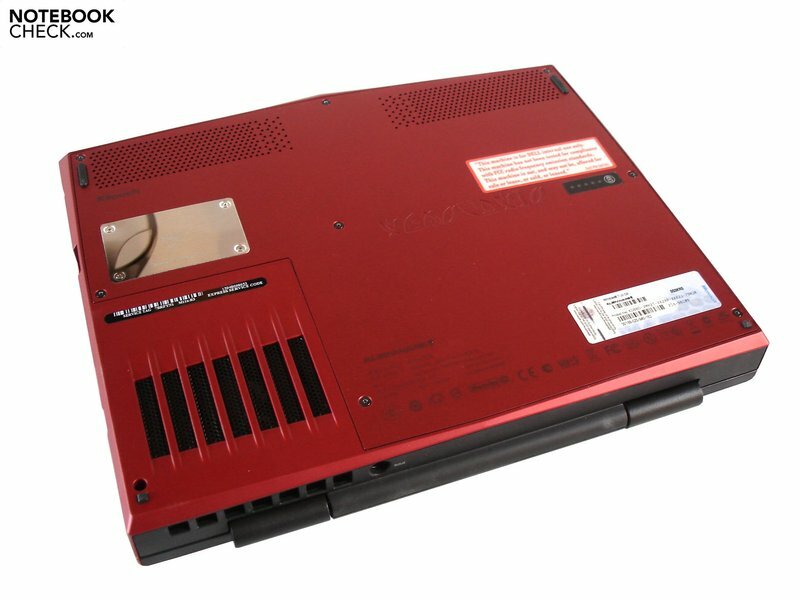 For a subnotebook the connectivity is hence thoroughly sufficient; compared to a fully fledged gaming notebook there is nevertheless no optical drive, VGA output, ExpressCard slot, or an eSATA port. The arrangement of the interfaces meanwhile is less than optimal. Those that have many cables connected will quickly find the use of a mouse confronted with spatial problems on both the left and right sides, since many of the interfaces are simply too far towards the front. As far as wireless is concerned, users have WLAN (a/b/g/n) and Bluetooth (version 3.0) available. With regard to the pre-installed software Alienware - at least as far as its pre-series device is concerned - is relatively restrained. Users are somewhat spared from annoying popup messages. The system starts up and already operates relatively quickly in its delivered state, so that you can actually get started straight away after configuring Windows 7. The most important component of the included software is the so called Command Center. The clearly laid out and intuitive user interface allows the case illumination to be adjusted (AlienFX), as well as configuring the power options (AlienFusion), and the touchpad (AlienTouch). The delivery package of our tested device wasn't the final version. Not considering the surprisingly feeble 90 Watt battery, and a soft protective cover, the box was empty. 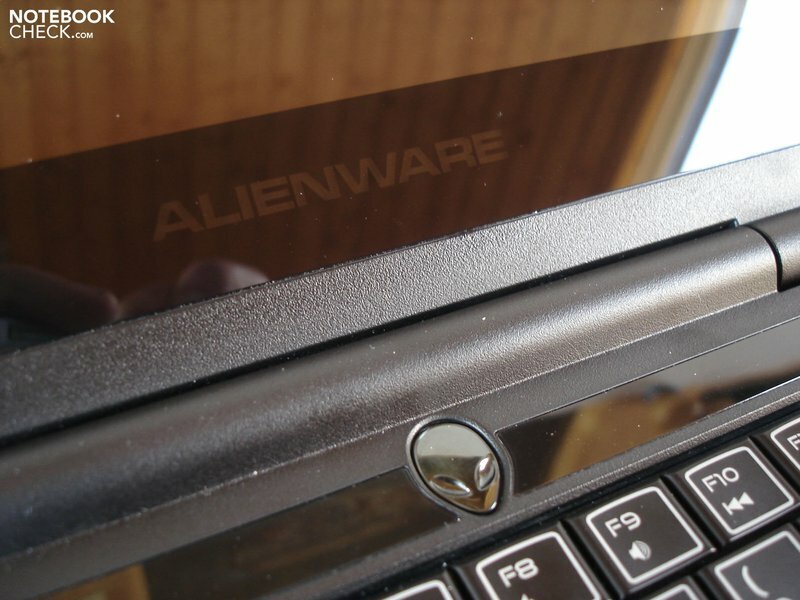 According to Alienware, the retail version will also include a manual and storage media with the operating system. The input devices left an altogether good impression. 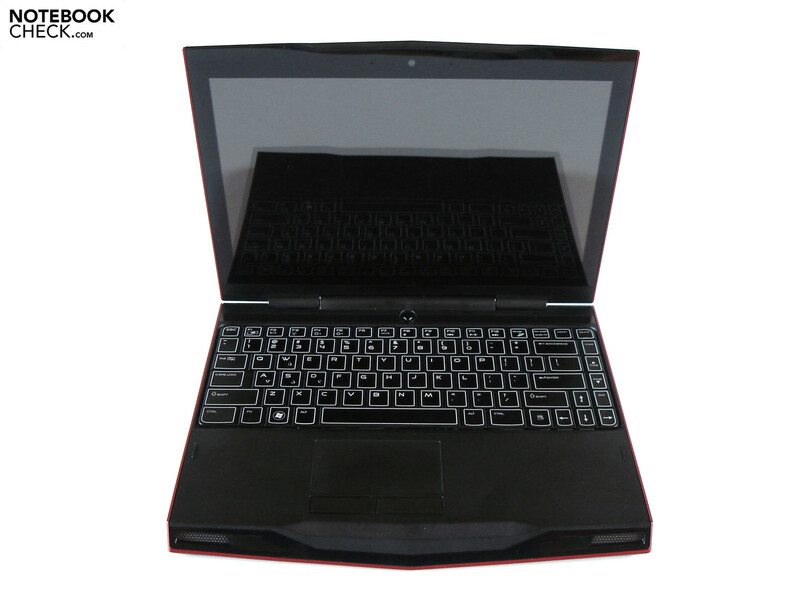 The illuminated keyboard has a decent typing characteristic; pressure point and end stop are well enough defined. 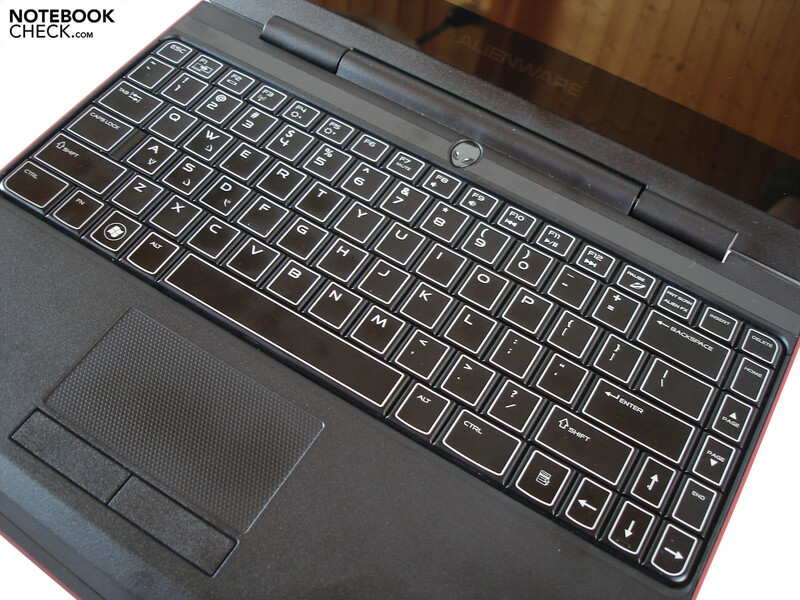 The layout chosen by Alienware can quickly become accustomed to, with the relatively narrow keys (15 mm wide) leading to several typing errors at the beginning. Frequent typists and fast writers won't necessarily ever become completely happy since frequent office tasks call for a keyboard with bigger or free standing keys (chiclet design). In addition to this comes a somewhat loud typing sound, in quiet surroundings such as a library this will likely not be especially popular. Not considering this the Fn key combinations allow diverse actions to be performed, from volume and brightness control, to multimedia control everything important is available. The 80 x 43 mm large touchpad (could be a little higher vertically) proved itself to be relatively precise and reliable in the test. The surface is composed of a fine honeycomb pattern, which provides for a perfect compromise between feedback and glide properties. 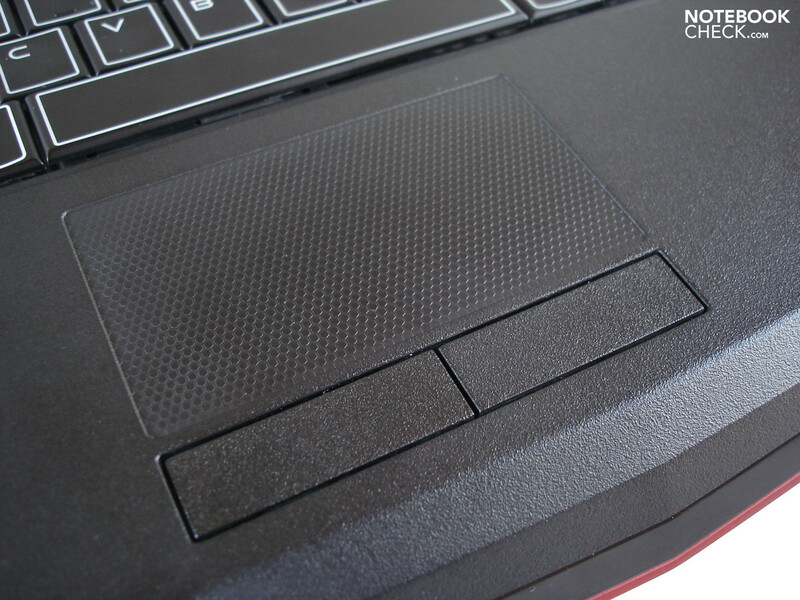 Apart from the multi-touch control with various gestures (scrolling, zooming & turning), the touchpad also supports a horizontal and vertical scroll area. With the help of the previously mentioned AlienTouch software, it is possible to adjust the touchpad in detail to personal preferences and requirements. Both of the loose mouse buttons meanwhile make a much less qualitative impression, and their operation is very spongy and undefined. 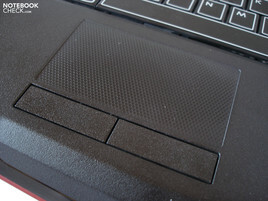 Since the touchpad is slightly offset to the left, it can often accidentally be touched during WASD use in games. Let's take a closer look at the display. 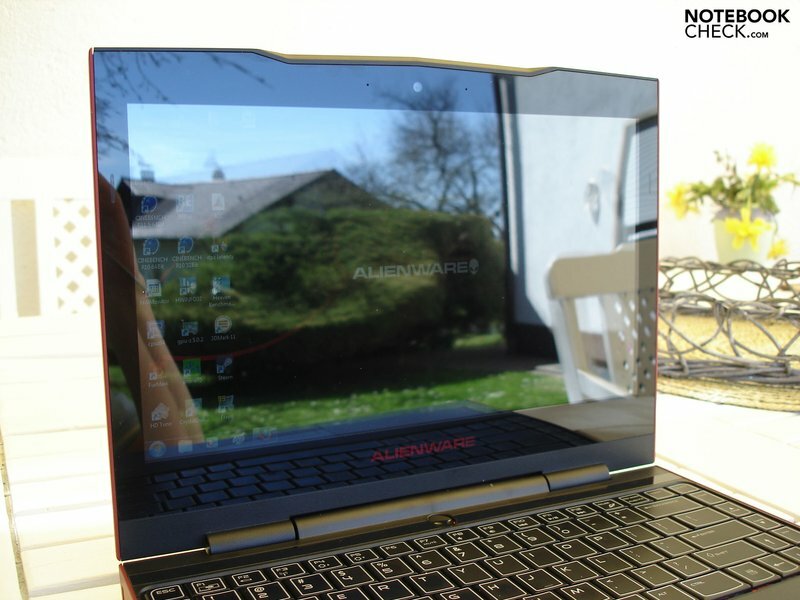 Alienware uses an 11.6 inch glare-panel from AU Optronics (AUO305C), which has a 16:9 aspect ratio format, with a diagonal length of 29 cm. A resolution of 1366 x 768 is exactly right for this display size, although a relatively large amount of scrolling will be required in practice, and the handling of several windows can become a bit tedious. 11.6 inches are still not optimal for games or movies, since details easily get lost and opponents appear to be far away - to put it an exaggerated way - like little dots. The picture quality of the last M11x revisions didn't set free any excessive amounts of excitement. Brightness, black level, and contrast were all far from ideal. At least the illumination strength has improved with the M11x R3, with the display just about reaching 200 cd/m² on average compared to a rounded 150 cd/m². Still not a good value, but halfway reasonable. At the same time the previous black level of 0.7 cd/m² has now almost doubled to 1.35 cd/m², making dark picture areas have an obvious gray tint. The contrast is also meager, 150:1 are relatively little. The color space comparison doesn't make the M11x R3 look much better either, the sRGB color space is far from being covered, and the colors are generally somewhat pale and weak. Merely the illumination of 87% stands out as reasonably good. The main problem with the display in our opinion is the adopted reflective display cover. The small dimensions, the light weight, and the long battery life (see below) would actually predestine the subnotebook for mobile use. In practice however, outdoor use is characterized by strong reflections, whose intensity varies depending on the amount of sun or other light. For future reference we would wish for the option to have a matte display surface. The viewing angles are also not an advantage of the display. Especially vertically the display changes very quickly, which forces the user to frequently adjust the display position. Horizontally the viewing angles are a little more stable, although most of the competitor products still perform better in this respect. When it comes to the CPU, Alienware has opted for an energy efficient ULV model (Ultra Low Voltage). Although the tool CPU-Z described the processor as Core i7-2630UM, this description is no longer accurate since Intel has changed the naming scheme, and the processor is called Core i7-2657M meanwhile. As with the other CPUs available for the M11x R3, this is dual-core. The meager base clock speed of 1.6 GHz will unlikely knock anyones socks off, but overclocking up to 2.7 GHz (over 1000 MHz) does command some respect in comparison. The cache availability also doesn't need to be shy opposed to more powerful models with four MBytes of L3 cache, which is even bigger than some of the faster clocked Core i3 and i5 CPUs. Along with the automatically overclocking Turbo-Boost, there is of course also Hyper-Threading technology on board as well. This shows itself responsible for the simulation of two virtual cores, whereby the Core i7-2657M can process four threads simultaneously. A big advantage of the 32 nm manufactured CPU is also the low power consumption of 17 Watts maximum, which is only half as much as the 'normal' dual-core Core i3 and i5 series. To what extent the energy saving ULV processor can keep up with one of the most favored standard Core i5's, was one of the questions we asked with our CPU benchmarks. As far as only one core is used, and Turbo-Boost is operating to its full potential, the Core i7-2657M can put up a good fight. With 4517 to 4376 points the Core i5-2410M (Dell XPS 15) only has a narrow 3% advantage in the Cinebench R10 64-bit single-core rendering test. The multi-core rendering test on the other hand makes this lead significantly bigger with 9839 points compared to 7715, making for an advantage of 28%. Also the current Cinebench R11.5 64-bit makes the relatively slow base clock speed of the Core i7-2657M appear in a negative light, with 2.58 points compared to 1.91, the Core i5-2410M is a considerable 35% faster. Nevertheless the performance relative to the power consumption is still exceptional, and compared to the older revisions of the M11x it is no longer necessary to make too much of a compromise. 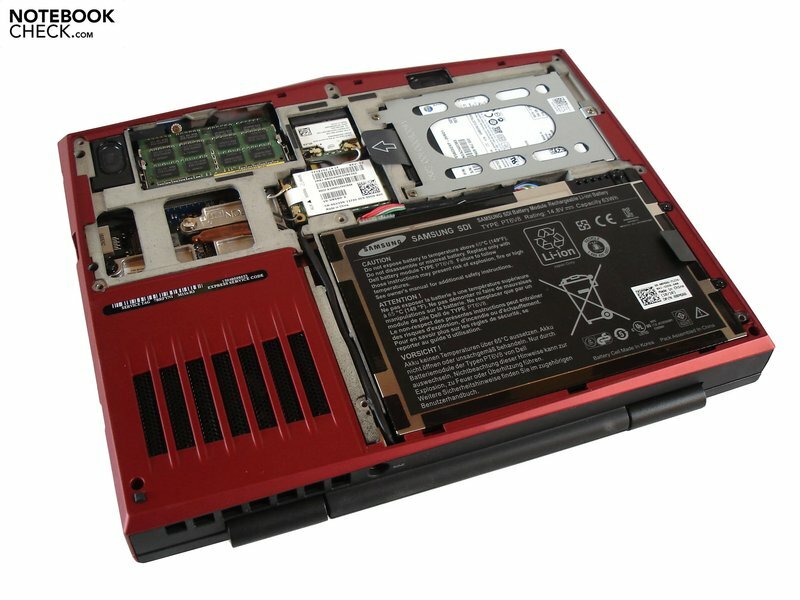 The Core i5-2657M works pleasingly quickly and is the perfect partner for the GeForce GT 540M. It is indeed astonishing how Alienware has once again managed to squeeze a gaming suitable graphics card into an 11 inch case. The third revision of the M11x no longer contains the dusty GeForce GT 335M, but instead the brand new GeForce GT 540M, a DirectX 11 capable mid-range model from Nvidia. The multi-faceted GeForce GT 540M currently finds itself used very often by manufacturers due to its good value for money. Technically the GeForce 540M is based on Nvidia's modern Fermi-Architecture, and has 96 unified shaders as well as 1024 or 2048 MBytes of DDR3 video memory available. The memory interface is a bit disappointingly narrow though, since 128 bits often reach the limits with modern games. Fortunately Alienware didn't think it was necessary to reduce the clock speed; 672 MHz (core), 900 MHz (memory), and 1344 MHz (shader) are in line with the standard values. 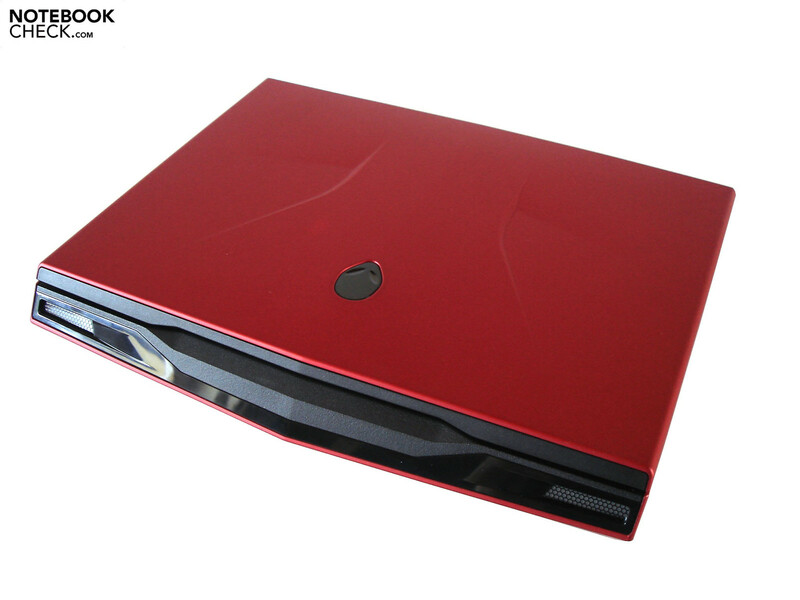 The power consumption is acceptable in light of the provided performance, a maximum of 35 Watts are drawn from the socket by the 40 nm manufactured graphics card. Nvidia is currently without competition as far as features are concerned, PhysX (physics acceleration), PureVideo HD (video acceleration), 3DTV Play, and 3D Vision (3D playback) are only some of the examples. In order to provide users with as much performance as possible without compromising the battery life too excessively, Alienware has applied the Optimus technology from Nvidia. Optimus is a dynamic process for graphics switching, which either enables the dedicated or integrated graphics card, depending on the present requirements. While performing less demanding tasks such as working with office or browsing the internet Intel's HD Graphics 3000 can perform these tasks (integrated into the Core i5-4657M), but when more performance is required the GeForce GT 540M can take over. After a few teething problems with the start time, Optimus meanwhile works relatively error free with a halfway up-to-date driver. In case you should nevertheless still have problems at some point, our test of the Dell XPS 15 could possibly help you in this respect, in this review we list some 'Nvidia Optimus' tips. Whether the energy efficient CPU has a significant influence on the graphics performance can be determined with the help of the 3DMark 11 (1024 x 720, Performance-Preset) and the Unigine Heaven 2.1 (1280 x 1024, High, Tessellation normal) benchmarks. 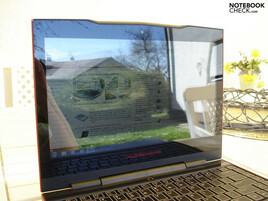 The result: Compared to other notebooks equipped with the GeForce GT 540M, there are no significant differences. With 983 points in 3DMark 11 for example, the M11x R3 almost reaches the same result as the Schenker XMG A501 (Core i7-2630QM, 1015 points). The same applies to the Unigine Heaven 2.1 benchmark; despite the quad-core the Schenker XMG A501 only processes marginally faster (13.3 fps compared to 13.0). One indication that the processor plays a less important role with mid-range GPUs. 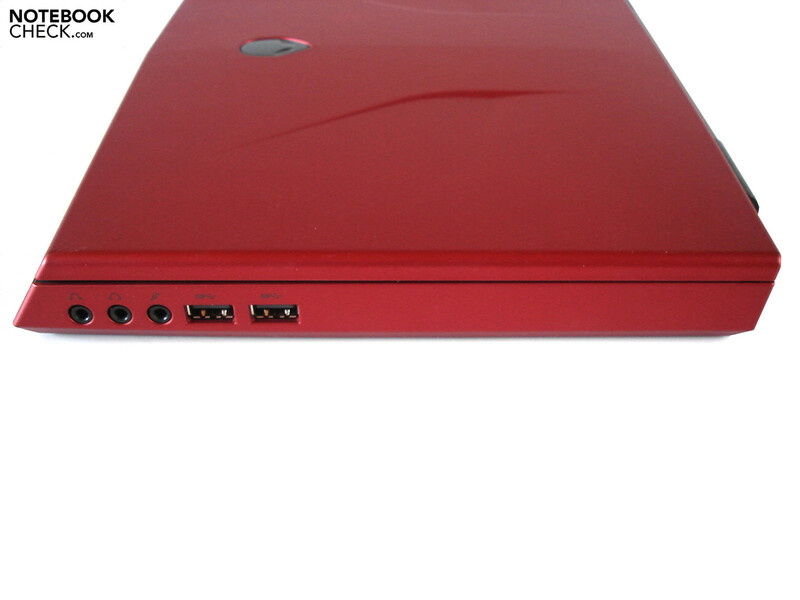 Our tested device was equipped with the best hard drive option, in the form of a 256 GByte SSD. While the final version of Samsung's PM810 is supposed to be the driving force, we have to make due with the older PM800. The SSD doesn't only accelerate the boot process and general reaction time of the operating system, but also has a positive impact on the length of loading times and file transfers. This is also confirmed by our measurements, with a sequential read rate of 214.5 MB/s, a sequential write rate of 173.4 MB/s, and an access time of 0.2 ms, these values are clearly superior to those of a traditional HDD. For SSD standards the performance of the Samsung PM800 is nevertheless not exceptional; Curcials RealSSD C300 for example plays in a different league. 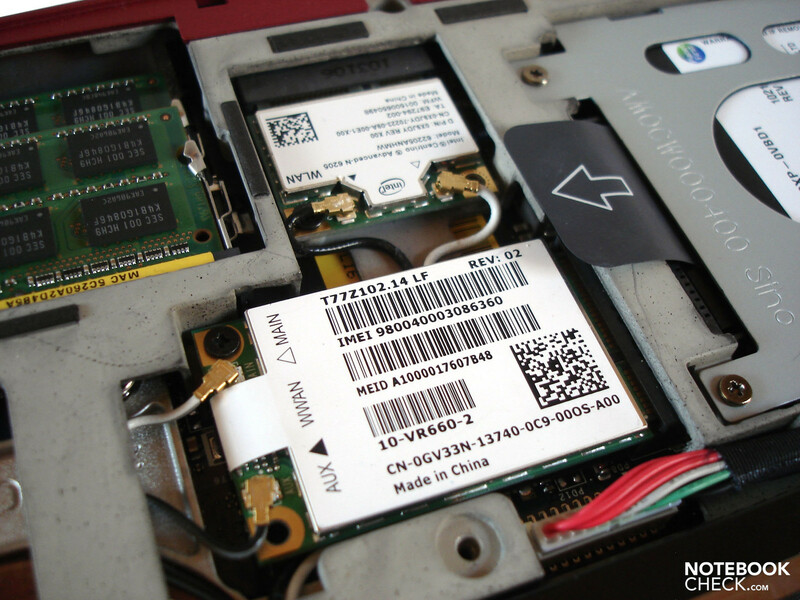 Samsungs new PM810 should bridge the gap to faster SSDs though (see Alienware M17x R3). For its limited dimensions the M11x R3 has an astonishingly good performance. Processor and graphics intensive applications are usually sufficiently accelerated, and the SSD hard drive also gives a noticeable speed boost. It would be difficult to get more out of an 11 inch case, and Alienware has delivered sterling work. We tested the gaming performance of the M11x R3 with five of the newer games, and have also taken a closer look at the two newest ones in the following text. After over 3 years the up until now nicest PC game of all time has finally been replaced by a successor. Crysis 2 may lag behind a little in gaming and technical terms relative to the extremely high expectations, but you will nevertheless still be greeted by a very good ego-shooter. 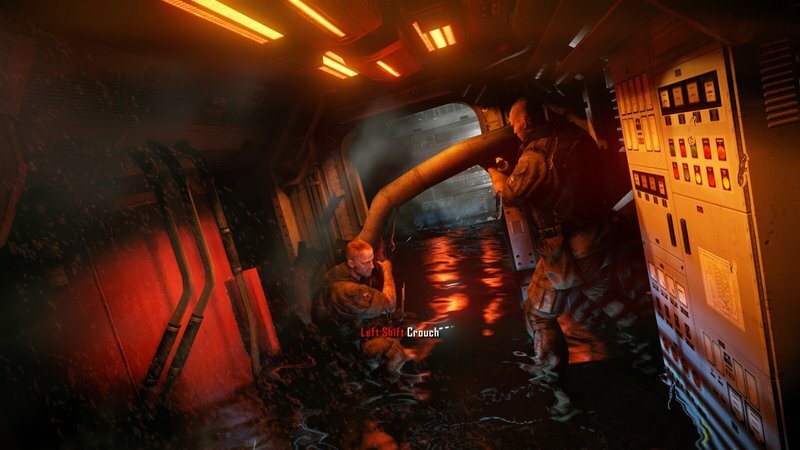 As already with its predecessor, the hardware demands of Crysis 2 are also quite considerable, and thus the maximum performance optically can only be achieved with a high-end GPU. 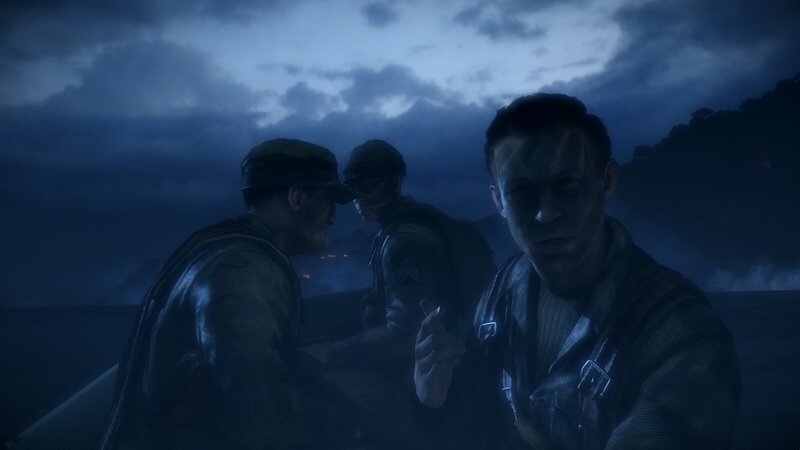 The graphics performance with the 'Very High' preset causes too much of a strain for the GeForce GT 540M in the native resolution, and 26.6 fps on average are not enough for a games in the first-person perspective. The Dell XPS 15 (GeForce GT 540M & Core i5-2410M) manages an almost identical frame rate with 26.5 fps. It will be hard hard to get around using the preset 'High' and a reduced resolution of 1024 x 768 pixels, which provides for 36.4 fps. The currently very popular action game Battlefield: Bad Company 2, also has lofty demands for the GeForce GT 540M. High details and four times anisotropic filtering (AF) are a little too much combined with the native resolution, since this leads to an approximate frame rate of 30.0 fps. This is more or less the same as the result from the Schenker XMG A501, which has a considerably more powerful Core i7-2630QM to assist the GeForce GT 540M, and manages 30.1 fps. Medium details can be reproduced pleasingly smoothly in return for quality compromises, providing for 41.2 fps on average in the native resolution. Not considering extremely demanding games such as Metro 2033 or Crysis 2, the GeForce GT 540M can tackle modern PC games without difficulty. As long as users don't exaggerate with the resolution or quality improvements (AA & AF), high details are possible in most cases. 1366 x 768 pixels are well suited to the GeForce GT 540M, and uses receive a decent mid-range system. A comparable gaming performance can only otherwise be found starting in the 13 inch and upwards segment (e.g. 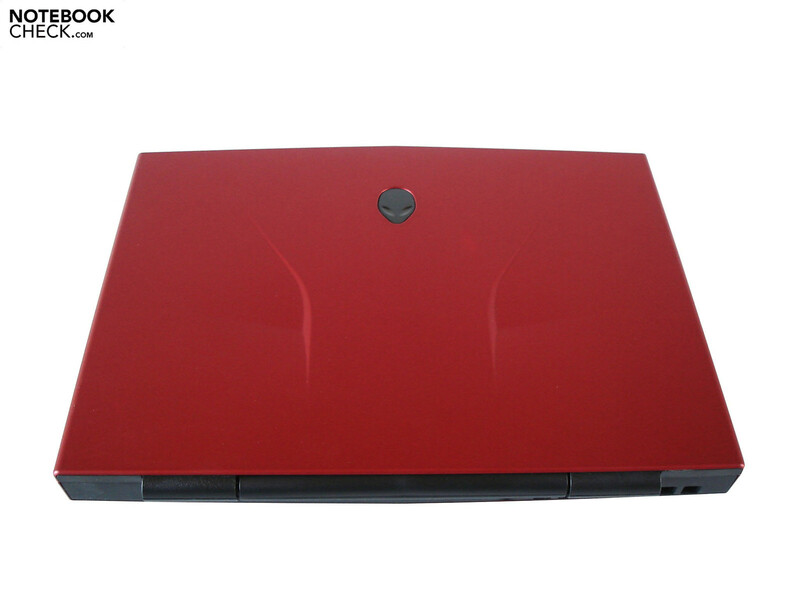 Acer Aspire 3820TG). Note: We have not been able to test the final BIOS. While measurements are based on the X19 BIOS, our subjective impressions are from the A00 BIOS. The retail version will likely contain a much improved version. The system noise from the M11x R3 has made a good impression in an idle state. With little load (internet, movies, etc. 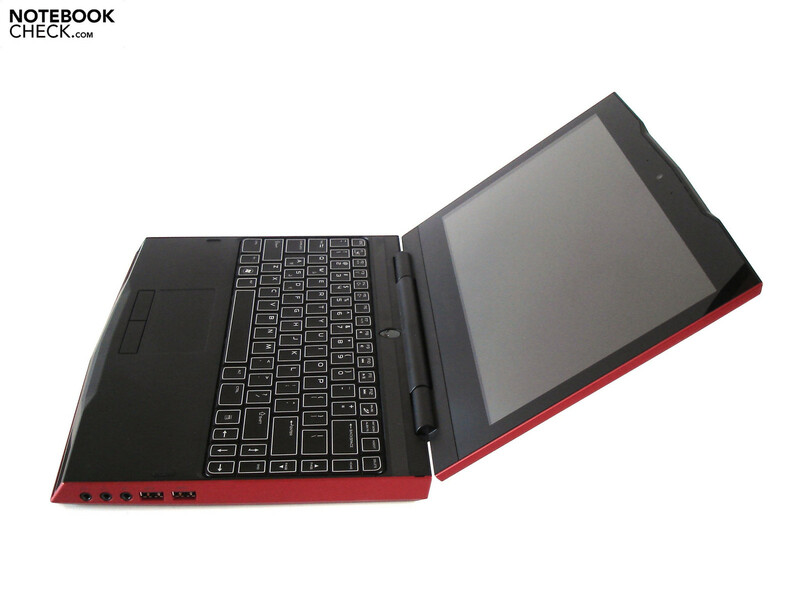 ), the 11 inch subnotebook is relatively quiet, and the small cooling fan is only just noticeable. 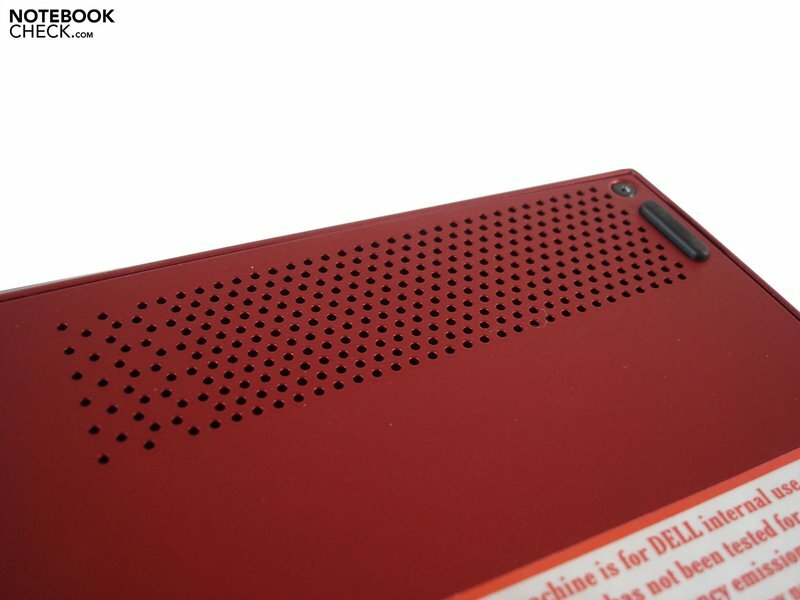 If the device has nothing to do at all, the cooling fan deactivates completely, and with the SSD hard drive the M11x R3 is then completely silent. Under a high load (3D application, PC game, etc.) the cooling fan turns up quite considerably, and all tasks are accompanied by an unpleasant high-frequency hissing. 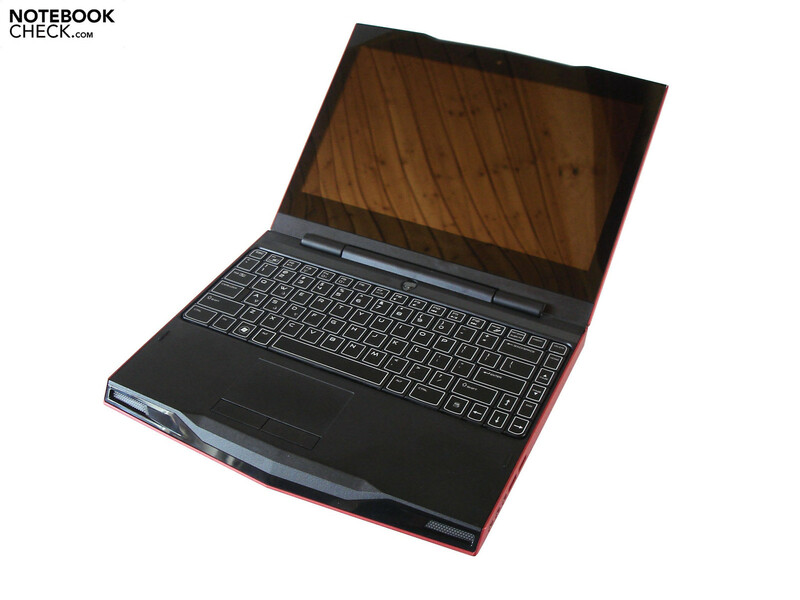 Noise sensitive users will likely start getting annoyed with the subnotebook after a short time when playing games, and it becomes noticeable that the cooling system is reaching its limits. The predecessor stayed significantly quieter under load, making the system noise one of the few steps backwards that came to our attention. While the system noise has increased, the temperatures have noticeably decreased compared to the previous revision. In an idle state the average surface temperature of around 25°C, makes a pleasant working possible. Under load the top surface only gets marginally warmer up to a maximum of 32°C around the palm resting area, which is not all too much. The bottom gets particularly hot around the cooling fan, and with a maximum of 40°C this could get a bit uncomfortable on a lap after a while. On the inside things are significantly hotter, with the graphics card reaching up to 93°C with a full load. The processor meanwhile reduced its clock speed from 1600 to 900 MHz during our several hour stress test with the tools Furmark and Prime (CPU throttling). Since the exertion caused by games is considerably lower than this though, these scenarios should not realistically occur in practice. Our benchmarks were all correctly completed. (+) The average temperature for the upper side under maximal load is 28.5 °C / 83 F, compared to the average of 30.7 °C / 87 F for the devices in the class Subnotebook. (+) The maximum temperature on the upper side is 32.2 °C / 90 F, compared to the average of 35.8 °C / 96 F, ranging from 22 to 57 °C for the class Subnotebook. (+) In idle usage, the average temperature for the upper side is 23.9 °C / 75 F, compared to the device average of 30.7 °C / 87 F.
(-) The average temperature of the palmrest area of similar devices was 28.6 °C / 83.5 F (-3.4 °C / -6.1 F). The sound system has been created by Alienware with co-operation from the american manufacturer Klipsch. 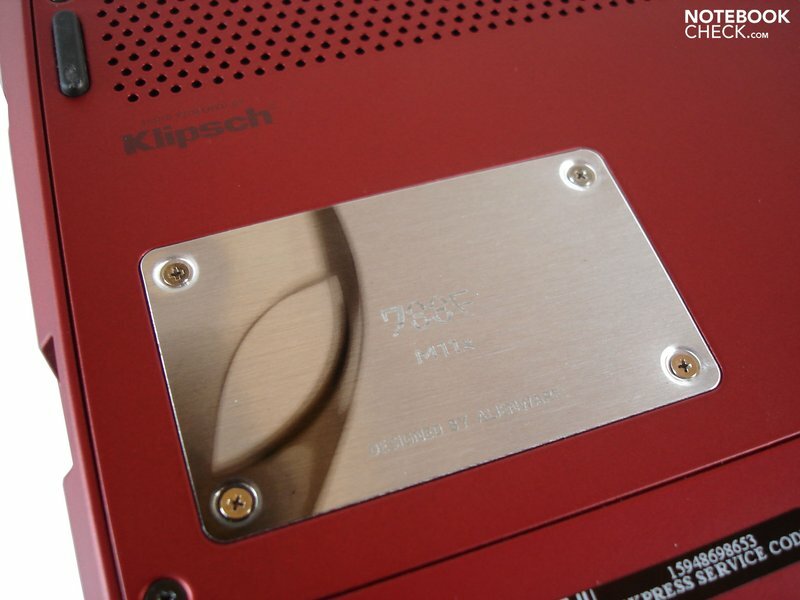 The result are two stereo speakers that are hidden on the bottom of the case. Whereby the produced audio can definitely compete with bigger notebooks. Although there is the usual lack of bass, volume and presence, it is certainly enough for short stints on the go. 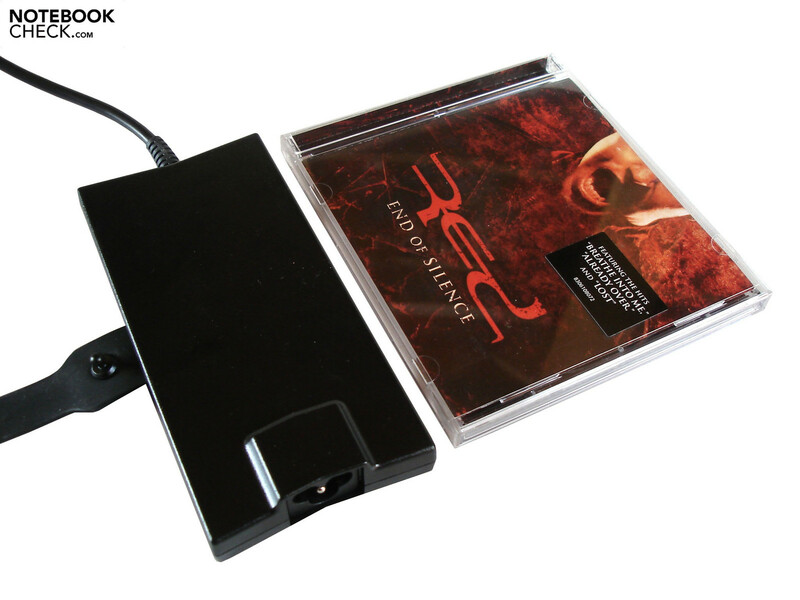 In order to enjoy the complete atmosphere of games or movies, users should nevertheless use external speakers along with an external monitor. Regardless of this we have to take our hats off, since the 11 inch subnotebook has a noticeably better audio quality than we expected. With the help of a comfortable and well structured software (see screenshot) the speakers can also be comprehensively configured. Especially the options from the MaxxAudio driver influence the audio significantly in some cases. The excellent battery life is one of the biggest advantages of the M11x R3. The combination out of a halfway potent 8 cell battery (63Wh, screwed in), Nvidia's Optimus technology, and an energy efficient CPU, provides for a high level of mobility. Especially impressive is the battery life when subjected to a low load, minimal brightness, and maximum power saving; the Readers Test from Battery Eater ran for just under 13 hours. If the brightness is increased to its maximum and the power saving options are scaled back a little bit, the M11x R3 still manages to stay on its feet for a long time without needing mains power. When browsing the web with WLAN the subnotebook lasted 7.5 hours. Since this subnotebook is missing an optical drive, we had to resort to a video file (avi, no HD) on the hard drive for our movie test. The result: An excellent 6 hours and 40 minutes. Even under a high load the M11x R3 can still provide reasonable mobility; with 143 minutes of the Classic Test from Battery Eater, with the brightness set to maximum and the power saving options deactivated. The old M11x is significantly worse in a direct comparison, with the battery life only lasting half as long in an idle state. There is certainly nothing to qualm about when it comes to the power consumption. 7.9 - 12.0 Watts in an idle state, and 56.9 - 65.6 Watts under load, are more or less on the same level as similar but faster subnotebooks, such as the Acer Aspire 3820TG. 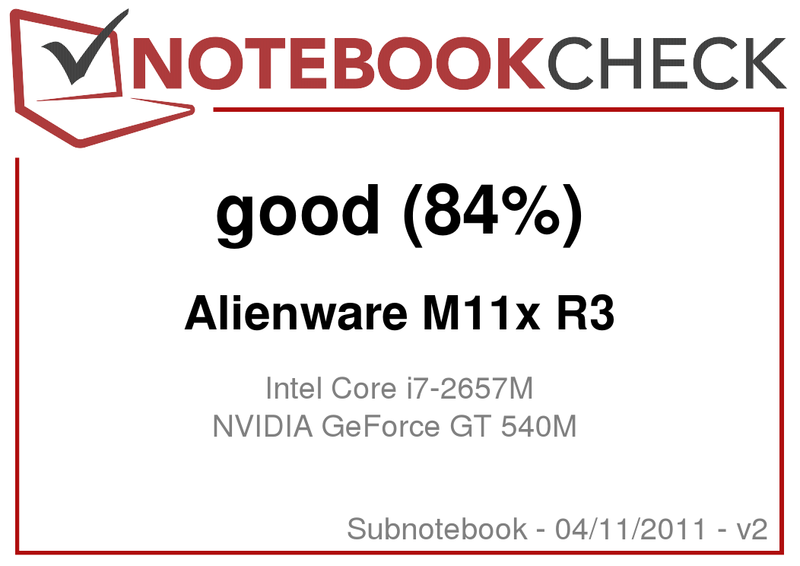 Alienware has managed to produce a neat and for the most part impressive subnotebook with the M11x R3. 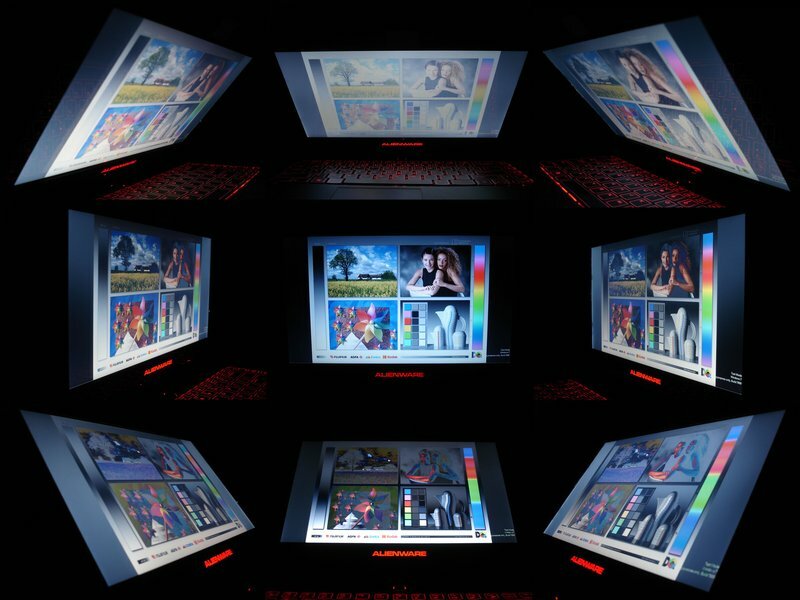 The very well put together case with pleasant soft-touch surfaces, the numerous illuminated elements, as well as good input devices, draw the attention in a positive way. Compared to its predecessor, the new revision has also received a few other improvements on top of this. Along with better performance and low temperatures, there is above all also a much longer battery life. The main point of criticism towards the M11x is still the less than ideal display. Although the brightness is somewhat better, the black level, contrast, and colors, as well as viewing angles, don't live up to our expectations. In defense of Alienware it is worth noting that the market simply isn't providing better display panels in the 11.6 inch format at present. In addition to this, we find it hard to imagine why Alienware has not opted for a matte display surface for a device that is clearly intended for mobile use. Outdoors users will quickly be confronted with disturbing reflections, and the eyes are strained beyond their limits. The system noise is also a weak point on the subnotebook, since the cooling fan is definitely a little too loud under load. Altogether the target market segment for the M11x R3 is a little uncertain. While most gamers will likely be more keen on a bigger device, users that are primarily interested in mobility will much prefer a matte display surface. Aside from this, we would like to finish by stating that Alienware knows better than anyone else how to get as much performance into a possibly small case. Those that are looking for precisely this mixture could be content with the M11x R3. As far as subnotebooks are concerned at least, this 11 inch device is in a league of its own. The solid design has remained the same. 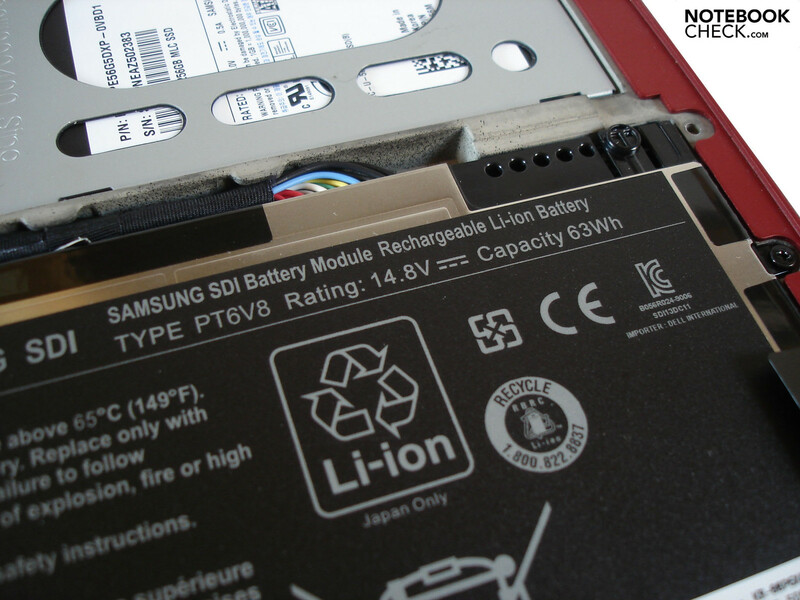 The Lithium-Ion battery is attached with screws. Alienware has cooperated with Klipsch to make the sound system. Numerous elements can be illuminated. The alien head on the lid shines in white. The display quickly accumulates fingerprints. 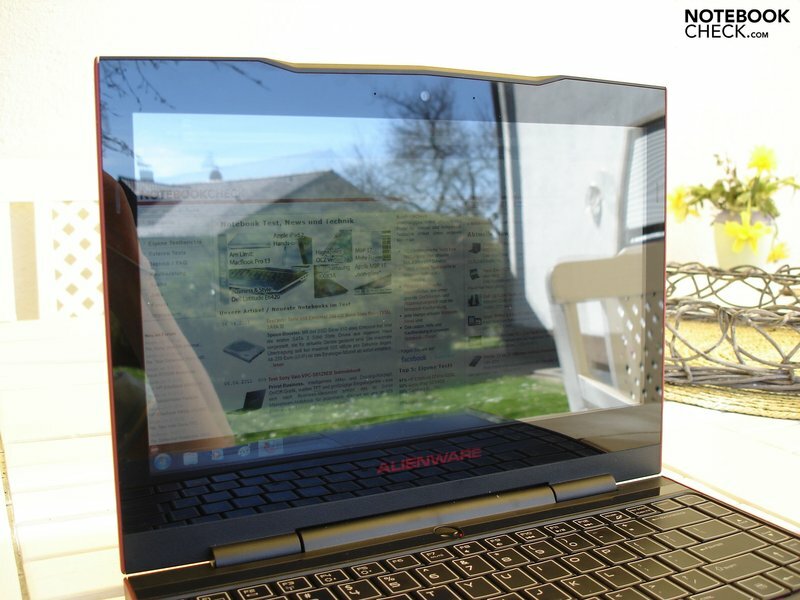 Viewing angles Alienware M11x R3. 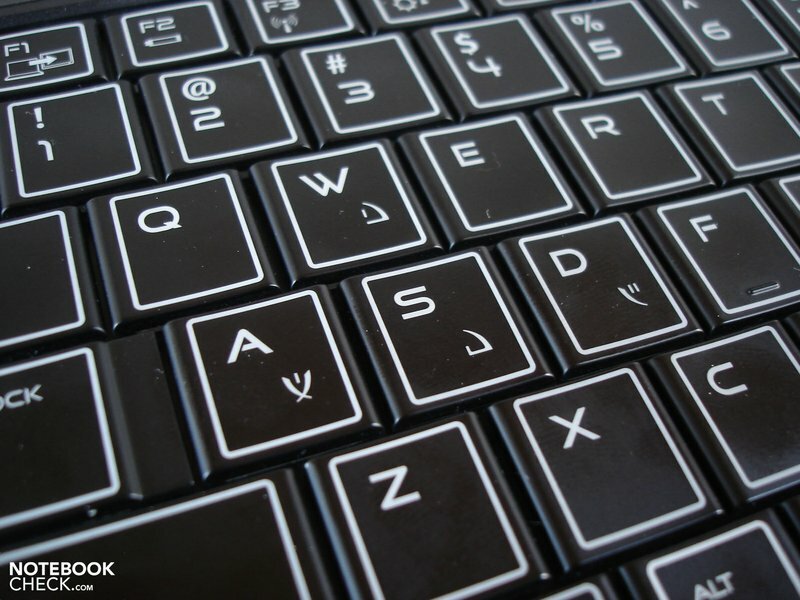 The WASD keys are marked with cryptic alien symbols. A fine honeycomb pattern covers the touchpad. Both of the speakers are hidden on the bottom. VGA is missing, but there are DisplayPort and HDMI instead. 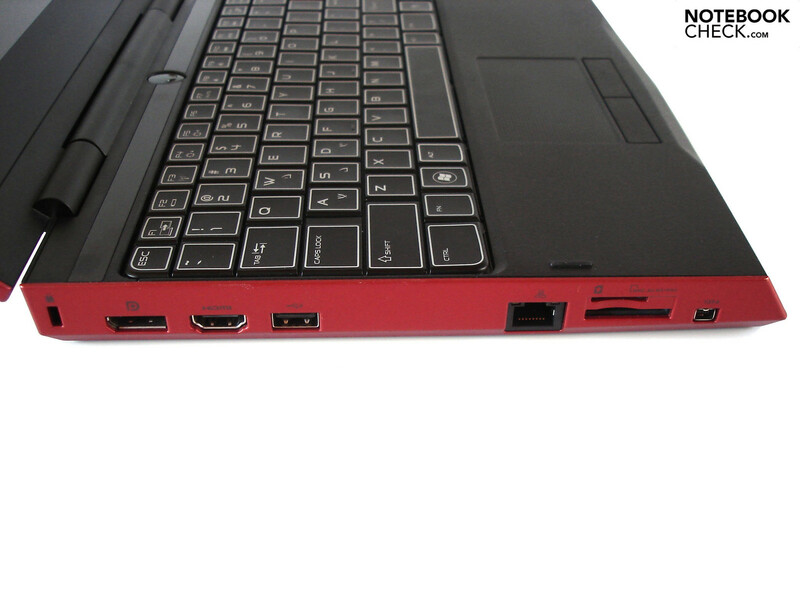 Two fast USB 3.0 ports are located on the right side. Users will have to make due without an optical drive. 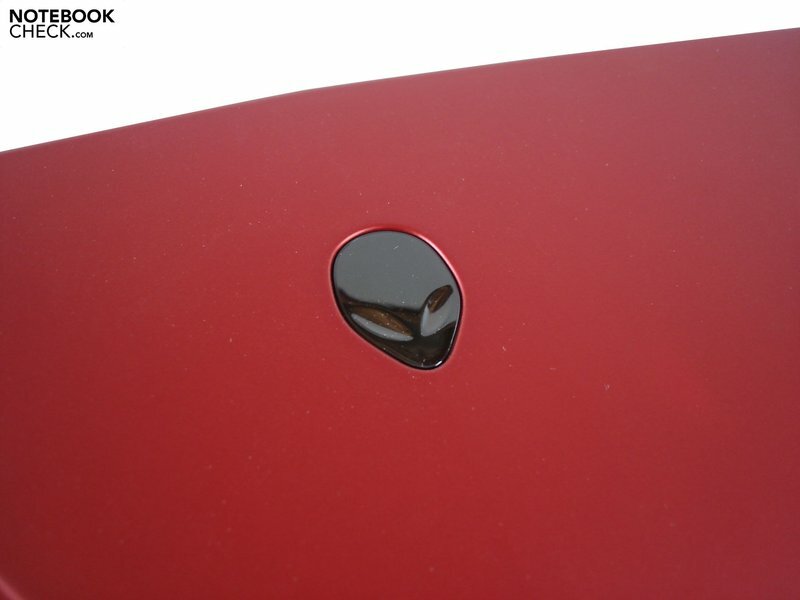 The power input is at the back. The 90 Watt AC adapter is surprisingly flat. The delivery includes a soft protective sleeve. 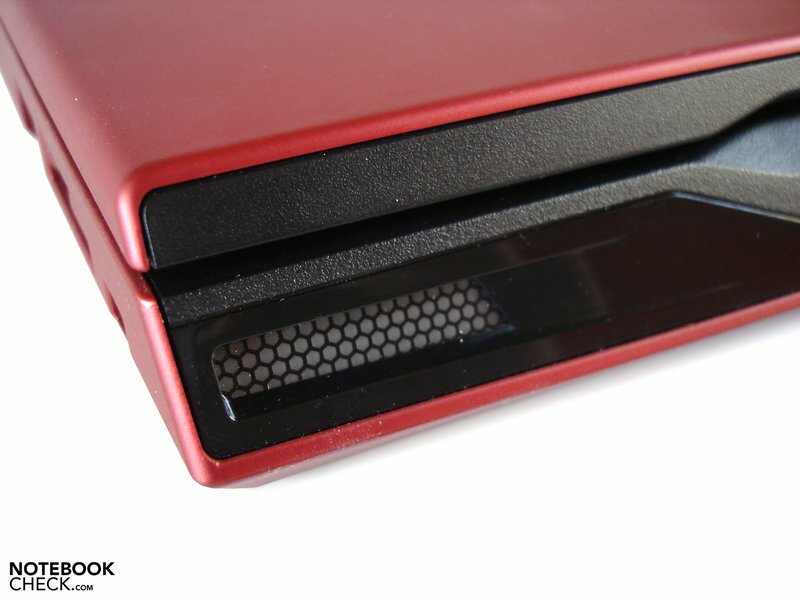 The accessories are inside an Alienware typical style box. There is an optional SSD hard drive. The cooling fan is on the left towards the back. The 11 inch display is very reflective. In reality the color is a bit darker. The maximum opening angle is convincing. The notebook will also be available in black. With the exception of the display, the surfaces are robust. The shape of the M11x is relatively boxy. We liked the input devices. The stable surfaces are slightly rubbery. 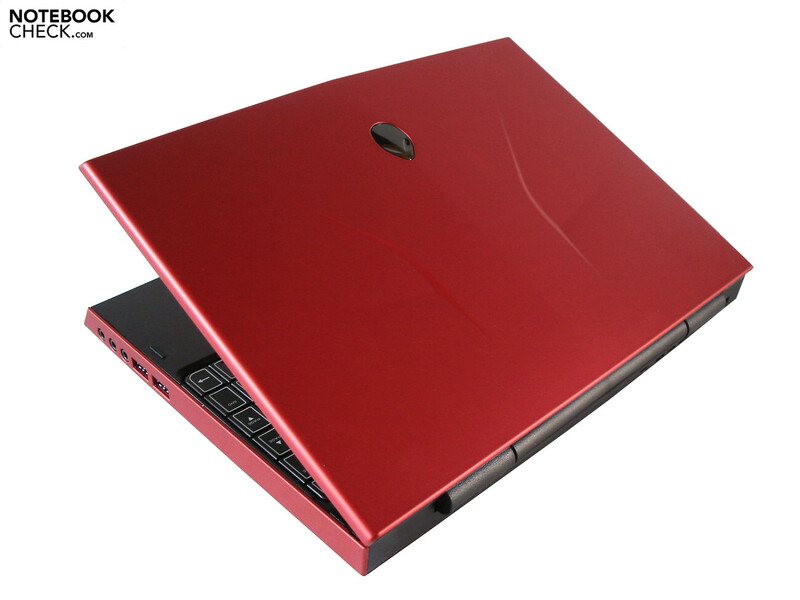 Typical for Alienware, the build quality is very good. Many of the interfaces are very close to the front. Most of the interfaces are on the left side. More or less the whole base can be removed. Numerous components can be changed without problems. 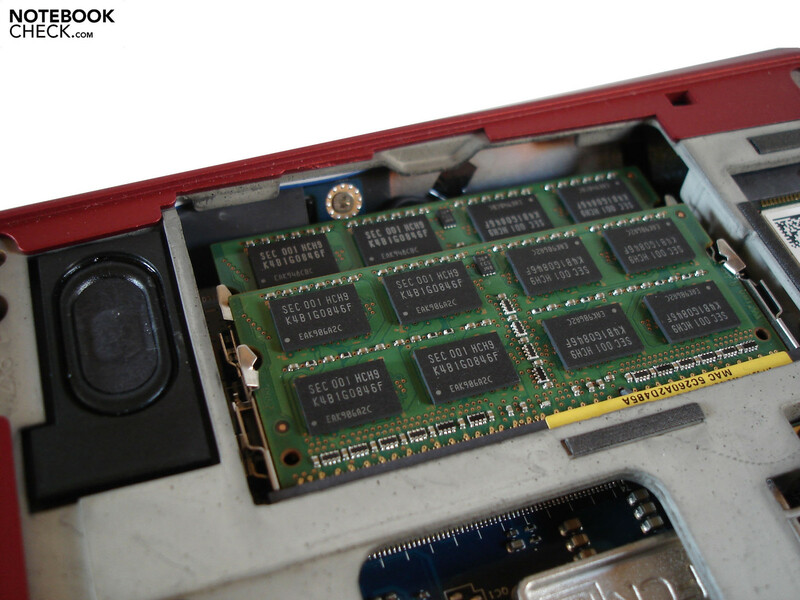 There are only two RAM slots. Our test device had a WLAN and WWAN modules. The graphics card and processor are not accessible. Even the packaging is well designed. The neat and well put together case with its high quality materials, and the comprehensive illumination options. 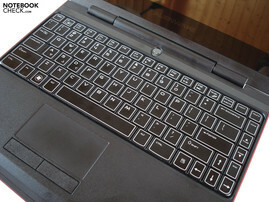 A matte display surface, and a much quieter system noise under load. 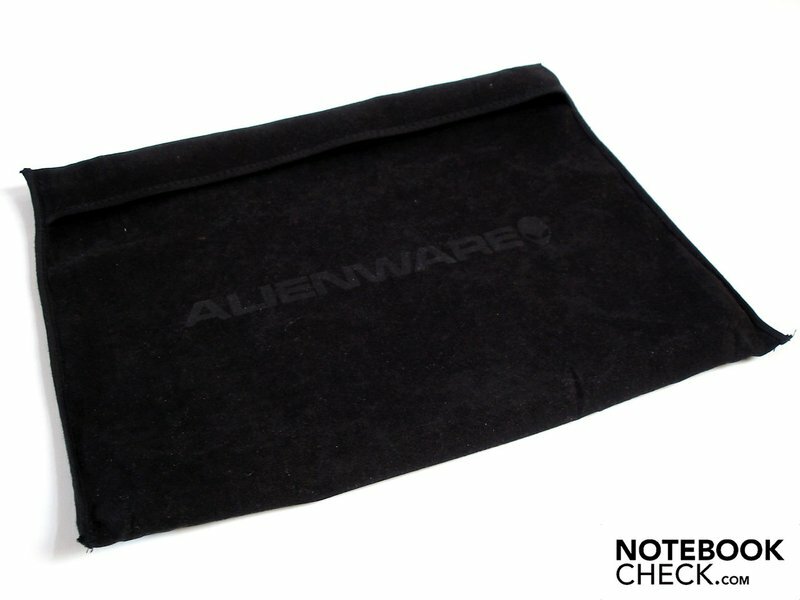 How Alienware has managed to pack so much performance into a subnotebook. Above all else the older revisions of the M11x. Other than these the choice of less expensive high performance subnotebooks is very limited (e.g. 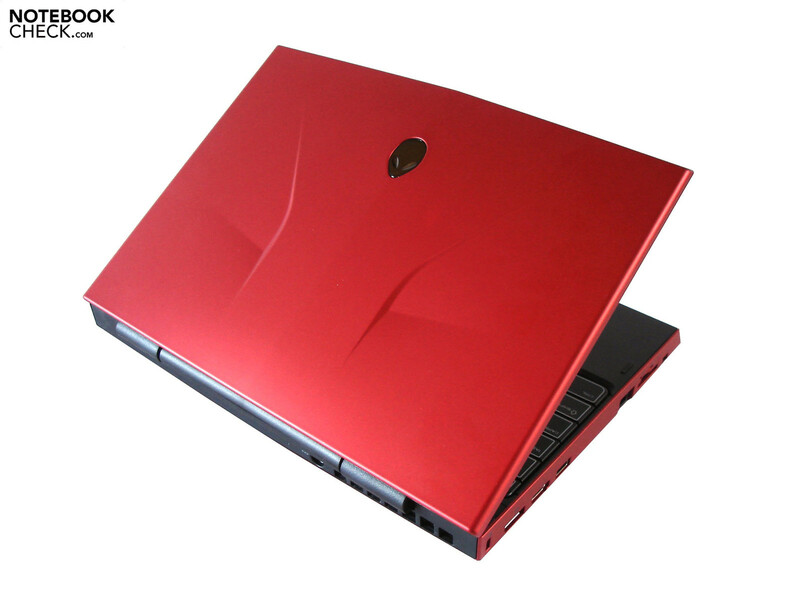 Acer Aspire 3820TG).